Fargo’s new software revision of its Asure ID software makes card personalization more efficient than ever before. This card design, data management, and printing package has a redesigned graphical user interface that is similar to Microsoft Office. 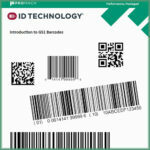 With features like tabbed navigation tools and fly-out control palettes, you have a familiar and easy to use tool for your ID Card printing needs. The simplified user interface lets you speed through data-entry tasks and card design. Everything you need to create a card is on the screen in front of you, and you can perform routine tasks with a few mouse clicks. The Data Entry Center offers data fields that you configure based on your needs, letting you create your own data entry sequence regardless of how the data appears on the ID card or in a database. For most of your ID Card printing needs, the Asure ID 2009 internal database is all you need to store card templates and data. If you need to connect to an external database, such as ERP, a new Live Link™ wizard sets up real-time data exchanges to access and add data to the data fields for each card. Asure ID 2009 is available in four editions, each one providing increased functionality. Whether you are just getting started or need to upgrade your Photo ID capabilities, contact Winco ID and we can assist you in choosing the Asure ID 2009 edition that’s right for you.